Did the Orlando shooter have bipolar d/o? No! Whenever a tragedy happens, some people throw around the word “Bipolar.” As in this latest atrocity in Orlando, the shooter’s wife pronounced that he was “bipolar.” No he was not bipolar! He may have been gay, he may have been abusing substances and steroids, and his wives, and most assuredly he may have had anger issues and Antisocial personality disorder, but he had no symptoms of bipolar disorder whatsoever. Abusing steroids can cause all kinds of issues including massive anger, irritability, rage, aggression not to mention stroke and heart attack. I have made bold the issues that seem to come forth when looking at the Orlando shooter. I have put question marks by the ones that are possible, but upon which I don’t have any information. He abused his first wife, and basically held her hostage. He had anger issues, also probably compounded by steroid abuse, he obviously had no empathy for others. All the symptoms he exhibited are those of antisocial personality disorder. And also, apparently he was struggling with his own homosexual feelings, and that’s why he decided to take out his rage on innocent gay people. Nothing here says bipolar disorder, the disorder people love to blame when things of this kind happen. 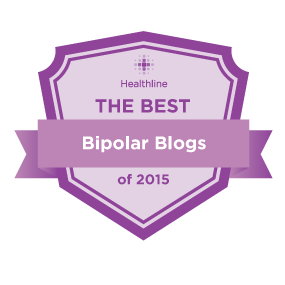 Look at this post to see what bipolar disorder is. People who shoot and kill innocent people most likely do not have bipolar disorder, Even if they have bipolar disorder, they are NOT shooting others because of it, there is another comorbid issue such as possibly antisocial personality disorder that might cause them to commit the awful crime. People who have antisocial personality disorder are the sociopaths and psychopaths of the world. People who have bipolar disorder are decidedly not! And his wife, the ultimate victim, he is slapping her around, and she is thinking of his future! Maybe if she had had him arrested for abusing her, who knows, this could all have been avoided. Who knows. I mean with a felony conviction, surely he could not have bought a gun. Surely. If they did a background check. So people who have antisocial personality disorder are the sociopaths and the psychopaths of this world. 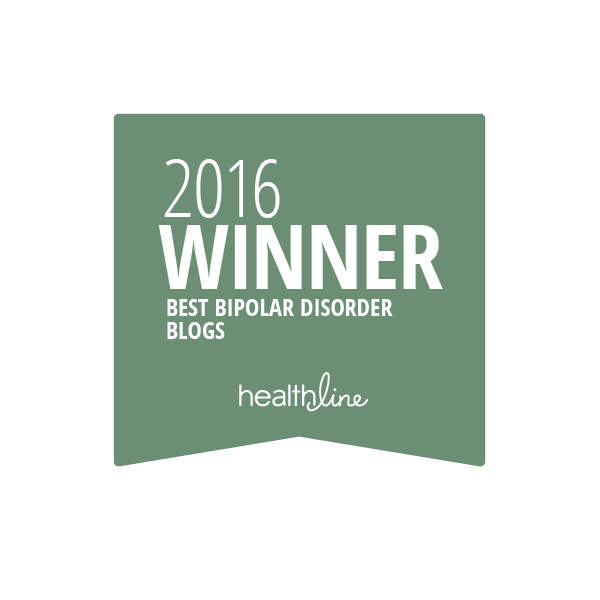 The people who have bipolar disorder are decidedly NOT! SO the next time someone says “The shooter/murderer/heinous person must have been bipolar!” Answer them and say “Most probably not!” And you would be right! I get furious that after every mass shooting the word “bipolar” is out of peoples mouths almost immediately. Thank you for clarifying it for your readers. I completely agree. I find it very frustrating that whenever there has been a mass casualty incident regardless of how it was carried out, so many (particularly in the media) jump onto not just bipolar but the generic “He was mentally ill” as an explanation or excuse. Even if the perpetrator can be clinically diagnosed with some form of psychopathy or sociopathy, that in no way excuses or even mitigates their actions. One can easily look at what took place in Orlando and think, “nobody in their right mind would do something like that so he must have been crazy”, but that is because many people do not want to accept that perfectly rational and sane people are still capable of committing horrific acts. In other words, the perpetrator was evil, not sick or crazy. While it is possible for a mentally ill person to meet the legal standard for insanity, that is exceptionally rare. Insanity is used as a defense in less than 1% of court cases and ,when used, has only a 26% success rate. Of the cases that were successful, 90% of the defendants had been previously diagnosed with mental illness. These percentages illustrate how rare it is for any crime to be committed by a truly insane person. In this particular case, insanity is not at all an issue since there will be no trial for the shooter due to his death. For the sake of argument, let’s assume he did survive and went to court and attempted to use the insanity defense. Most states (including Florida) use the M’Naghten Rule. This rule was first set as a legal principle in 1843. The original version stated, “At the time of committing of the act, the party accused was laboring under such a defect of reason, from a disease of the mind, as to not know the nature and quality of the act he was doing, or, if he did know it, that he did not know he was doing what was wrong. Now let’s look at the antisocial personality disorder symptoms and compare against the M’Naghten Rule. Disregard for right and wrong presumes an understanding or awareness of right and wrong. Lack of empathy for others and lack of remorse about harming others again presumes that the person is aware they are harming others but they simply don’t care as long as they get their way. Failure to consider the negative consequences of behavior or learn from them is not the same as not being aware of or understanding negative consequences. It is not a defense unless it can be shown that the failure to consider negative consequences is a result of not having an awareness of understanding of the negative consequences. Short version, mental illness generally is a necessary, but not sufficient factor in insanity. Some people commit evil acts not because they don’t understand the evil of the act but rather because they don’t care if the act is judged as evil. Or to put it another way, some people who are not mentally ill are evil, and some people who are mentally ill are evil. The degree of mental illness, or lack thereof, has no correlation with the morality of any particular person. Unfortunately, this does not reduce down to the soundbites so popular with the media and politicians. Complex issues rarely do so you will almost never hear the media or politicians stick with their soundbites, it’s easier than thinking. It also appears that I am incapable of writing concise comments on complex issues. I hope you do not mind my lengthy exposition, if it becomes a problem, feel free to let me know. Haha you are so tight in all you say! You are a lawyer, correct? Evil, exactly my definition of a psychopath or sociopath! Thank you. I’m not a lawyer, just someone who has had a wide variety of careers and also reads constantly. Thank you so much! Yup, sociopaths and psychopaths. Very bad for the rest of us empathetic people!